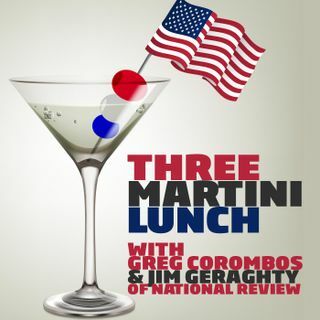 Jim Geraghty of National Review and Greg Corombos of Radio America are a bit surprised by House Speaker Nancy Pelosi and House Intelligence Committee Chairman Adam Schiff signaling they don't plan to pursue impeachment of President Trump unless there's a bipartisan consensus for it. They also look on sadly as New York City’s exorbitant taxes and hard left policies leave the city careening towards bankruptcy. And they crack a few pop-culture jokes but also weigh in on the serious ... See More issues as celebrities and elites around the country are charged with bribing colleges and universities to admit their kids under false pretenses.